01 Jul 2014: The 9/11 suicide bombers of Osama Bin Laden’s Al-Qaida were mostly Saudis. But, it is Saddam’s Iraq which had to bear American wrath. The Bush administration invaded Iraq accusing it of possessing and using weapons of mass destruction (WMD) against its own citizens. The defeat and UN-imposed economic sanctions including embargo on oil exports weakened Saddam government. Armed secessionist movements by ethnic Kurds in the north and Shia in the south were emboldened. Characteristically, his security forces used its military might including chemical and biological weapons against the secessionists. In the process, human rights were trampled and unarmed innocent civilians suffered heavily. The Iraqi welcomed the invaders with outbursts of joy. 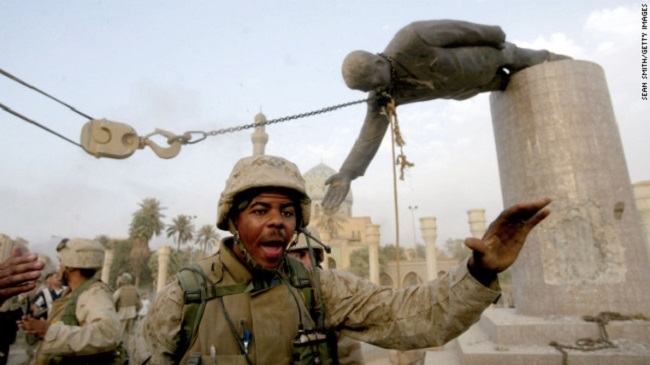 There were celebrations including street dancing in Bagdad, Basra and other major cities as US forces supervised pulling down the larger than life statue of Saddam from a central Bagdad square. The coalition of the willing designed, planned, built and directed by US President Bush had taken over Iraq in March 2003 in the decisive and swift victory of Gulf War-2003. 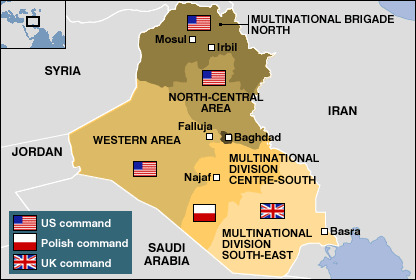 The coalition carved Iraq into regions for building civilian democratic rule under their command. The British Arabist and explorer Gertrude Bell had drawn the map which created the state of Iraq after the fall of Ottoman Empire during WW-I. It was delineation with almost geometrically straight lines that threw in Sunni, Shia, Kurds, and Christians under the governance of a Kingwho it was hoped would be loyal to the British Empire.It was meant to be a model for the entire Middle East. Eight decades later, President George W Bush believed that US-imposed democracy in Iraq would act as a model for the region. March of Freedom, Nation Building and planting democracy were his lofty goals. Little did he realize that guns, bombs, drones and fighter planesdo not suffice in the quicksand of tribal and religious bigotry! • Women were murdered for immoral activity like wearing make-up and going out of their homes without their male wards to supervise them. • Barbers were summarily shot for the crime of shaving beards. In the Sunni triangle, US command had to deal with Saddam loyalists and Sunnis angry at losing their Saddam-era privileges. A resurgent and vengeful Shia organized Mahdi Army directed by a respected Shia cleric to counter US plans. The Kurds in the north caused so much trouble that the multinational brigade of fifty odd nations depleted like ether in Arabian summer. Only Australia and two others to stayed to take the heat. Despite the odds, the occupation forces managed to give Iraq a constitutional framework to build a popular democratic model of governance. The first elections to the council of representatives were held under foreign occupation in 2005. Subsequent elections held in 2010 brought current Prime Minister Nour-el-Maliki to power after ten months of haggling between various sects. 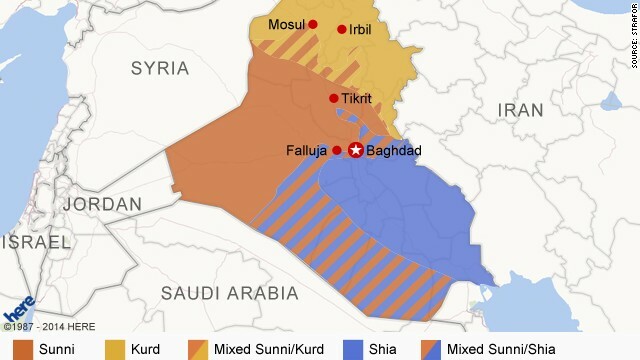 Under Maliki, Iraq tilted towards Iran. This angered Sunni partisans and loyalists of Saddam. The Sunni uprising turned into civil war even as elections to council of representatives were held successfully on 30th April 2014. The election supervised by Independent High Electoral Commission (IHEC) saw 62% voter turn-out. The poll results were certified on 25th May 014 according to election law. The newly notified legislature’s inaugural session will begin on 1stJuly 2014. It will elect a new President and a new Prime Minister. Current PM Maliki is in stringer position as his party has 92 seats in a chamber of 328. The election was described as free and fair. The three Shiaparties have together got 155 seats and are ten short for a simple majority. Ignoring the terror threats by Sunni anti-democratic force ISIS, Sunnis have contested, voted and their parties have 44 seats. Three Kurdish parties together have won 47. Secular parties have increased their vote share and seats. Remaining seats are smaller parties of minorities groups under reserved quota. In a country with a large Shia majority, formation of a majoritarian government is a temptation hard to resist. However, PM Maliki will have to resist that temptation and reach a compromise. His opposition to be inclusive in power sharing will be greater challenge in government formation. In his eight years as PM, he came under Iranian influence. He engineered and oversaw withdrawal of foreign occupation forces. In the process, he attempted to damage US interests in the region. His tilt in foreign policy in favor of Iran angered US-allies in the region including Sunni Arab neighbors Saudi Arabia and Qatar. Saudi Arabia and Qatar have strong political, economic and strategic interests in Iraq and North Syria. Their rivalry with Iran across the Gulf is well known. The Arab and Persian divide is more complex than the Sunni-Shia divide. Beyond control of Holy Sites of Islam and primacy over Islamictheological dogma, Riyadh and Doha are concerned about future security of their oil and gas assets. An Iran-Iraq axis is not in their best interest. The existing gas pipelines and oil shipping routes through Hormuz Strait have to be secured from Iranian threat. Future expansions of gas pipelines to Europe or Mediterranean ports have to be laid through friendly territories in Jordan, Syria and Iraq. These are key interests of Qatar. Islamic State in Syria and Al-Sham (ISIS) is the rebel opposition forces which Saudi Arabia and Qatar were funding to oust President Assad of Syria. The US administration under President Obama did not heed their call to invade Syria unlike Bush who agreed to invade Iraq. President Obama had been wary of committing US forces to regional conflicts where its long-term interests are not served by military involvement at the behest of itsfriendly Arab dictators. USA is on the threshold of becoming energy independent within a decade or so. It is on course to begin LNG exports within 2017 when Qatar and Russia will be its main rivals in gas markets of Europe, South Korea, Japan, China and India. It is not in US interest to advance Qatari and Russian goals in the region. The September-2013 détente between US and Iran was facilitated by Oman. Oman is a maverick Arab nation within GCC. It does not always toe Saudi Arabia in its foreign policy. The US-Iran détente angered Saudi Arabia and Qatar, but they can do pretty little. They need USA more than the latter needs them. Our traditional analysts look at Arab conflicts in the narrow viewpoint that USA is out to loot Arab oil. That view does not stand scrutiny because Superpowers factor in world scenarios five decades or more into the future. USA can wait until it weakens Nour-el-Maliki and he will hasten to compromise with secular parties in Iraq. Strengthening of secularism is a key US interest in deepening democracy in the region. Iran, on the other hand, is interested in survival of Assad regime in Syria, strengthening of Maliki in Iraq and empowering of Hezbollah inLebanon to counter Israel. Who is caught up in this quagmire? The emerging economies like China and India. The former has to worry about its energy security and increased costs its energy guzzling export oriented manufacturing economy has to bear. India has a lot more to worry besides economic interests. It has a huge expatriate workforce in the region to protect. It also has to delicately balance sectarian relationships within Muslim communities at home. In an environment where US-Iran détente is taking shape, India also has to repair its strained relationship with Iran. Iran in the past has proved to be far more reliable ally of ours than Arabs in our own conflicts with Pakistan over Kashmir. In my next opinion exclusive, I will give an insider view of life in Iran and how it thinks and acts. Emirate of Dubai is an unintended beneficiary of Revolutions and Crises following Arab Spring. Apart petrodollars pumped in by Emirate of Abu Dhabi, billionaires and multi-millionaires from entire MENA region relocated their wealth and person to Dubai. The economic recovery from 2008 Doob-Bye meltdown is a reality. From this perspective, the crises is a boon to residents of Dubai including BV readers. I am surprised to know business in Dubai is down. Is that why Arabtec stock crashed? Or hot funds going home to Egypt and Magreb, with retreat of Muslim Brotherhood forces? A view from Dubai is called for. Lot of people now opine Saddam and Mubarak controlled their territory better than so called liberated! However, current situation is driving business and economy to slow dry especially in the Middle East and Asia. History tells too much religion and blind practice always lead to disaster. We do come across some disturbing pictures of massacre! A very concise balanced analysis of the deteriorating situation in the Middle East. It is a politico-religious-economic situation mixed with sectarian sentiments and regional affiliations having long term effects on world economy.Well written Philip. Keep it up.